Commonly known as Black Eyed Susan, can be trained up a fence or trellis or left to trail out of a hanging basket, colourful mix of pink, orange and yellow with dark eyes on each exotic flower. Deadhead regularly to prolong flowering. Flowers June-August. Height 100-150cm; spread 90-100cm. 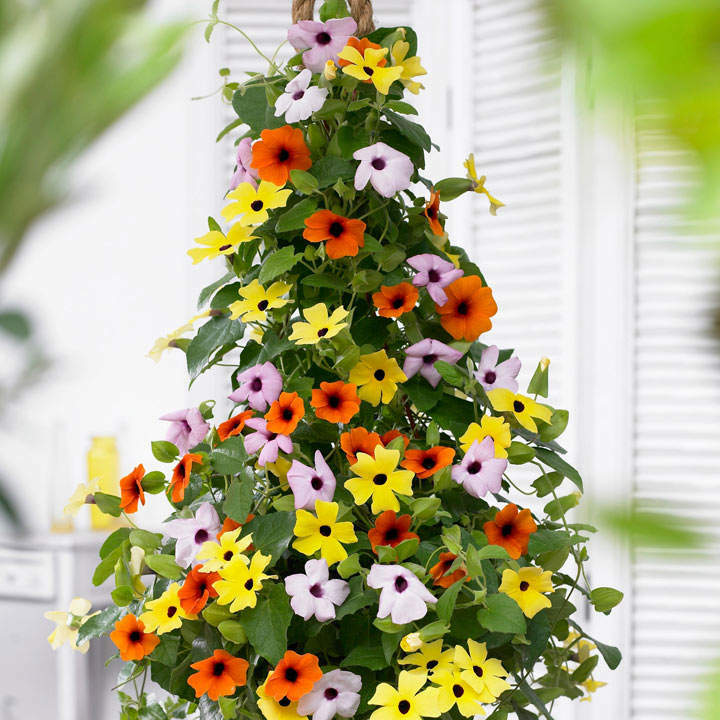 Ideal climber and for patio pots and containers. Prefers full sun.